If you’ve already used android device, you certainly know what apps you want and what apps to stay away. So, this article is meant for those users who’re new to android. On Android OS, we’ve an app for any task. There are hardly certain areas where we don’t have an app for the desired task, but what makes thing difficult is the abundance. Since we’ve lot more choices, we’re easily confused as which one is the best. Sometimes we just choose one and stick to it, sometimes we’re required to use combination of few apps to get our task done, and sometimes, just one app is sufficient for several of the jobs. Anyways, lets take a quick look at top 10 must have free apps for new android phones. – It’s the mobile counterpart of the famous desktop application that we all have used on our computer. For reading pdf e-books, adobe reader is a good app for android phones. Your phone might already come with pdf viewer, but if you’re not able to open pdf files, get Adobe Reader as it is free and one of the best. It is full-fledged free pdf reader for android. You can annotate, highlight important text in pdf documents. You can even open password-protected pdf documents. Download adobe reader for android from here. – You’re facebook user, right? Well, Facebook also has a mobile app for android smartphones which is faster than its mobile web interface and comes with host of features including direct photo upload, facebook chat, etc. Installing facebook app on your android mobile will help you always remain updated and notified of new fb messages, friend requests, notifications, status updates, etc. Furthermore, it also integrates with your contacts so all your friends who’ve shared their contact numbers with friends will now appear in your phonebook. 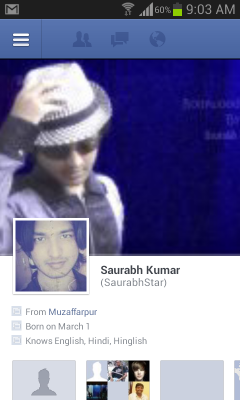 So, Download facebook for android from here. – This is the best file manager for android phones. It has lots of easy to use options. You can easily copy, cut, paste, rename, move files and folders. you can even access your shared folders on your computer via WiFi. You can also compress and extract zip files. Furthermore, you can also extract rar files so it acts as Rar file manager as well. It also has root explorer feature for such users who have rooted android phones. Download best file manager for android from here. – If your default video player on phone doesn’t play all your media files. You should give it a try. It is always advisable to have more than one media player on phone in case you stumble upon some uncommon video format. 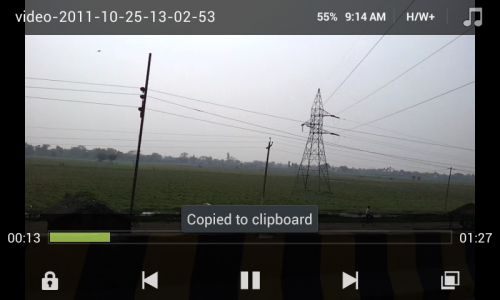 MX Player for android is one of the best video player available with lots of features and easy to use controls. The touch-gesture based controls feel very intuitive and this player also supports subtitles so you can play your favorite movies with subtitles. You can even adjust subtitle speed for better synchronization with the playing video. Download MX Player for Android free from here. – If you’ve android 4+ version running on your phone, you can install Google Chrome browser. Opera Mini is compatible with almost every android phones and it is useful if you’ve slow GPRS/EDGE net speed on your network. Opera Mobile is like a regular mobile browser. Dolphin HD is also one of the most popular browser for android mobile phones. Mozilla Firefox is also available on android phones and tablets, so if you use firefox on pc, you should try firefox on mobile as well because of the firefox sync feature which let you enjoy the same browsing session as you do on your pc. So, most likely, you’ll prefer using the same browser as you use on your pc. All these browsers support tabbed browsing and synchronization. Having other browsers installed on your phone is good choice, because if a certain website doesn’t work in one browser, it might work in another browser. Also, each of these browsers have their own pros and cons. So, install any of these or all of these and keep the one as your default browser based on your own preference after few days of usage. 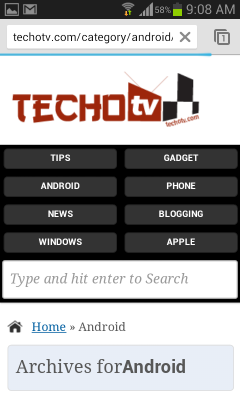 Get Google Chrome on android phone from here. Download Mozilla Firefox Browser for Android from here. Get Opera Mobile for android mobile phones from here. 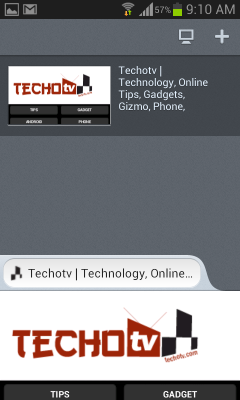 Download Opera Mini on Android mobile from here. – Both these photo editing tools are awesome and comes with lots of image customization tools and filters to beautify your ordinary image into timeless memory. The limitation with Snapseed is that it requires Android 4 and up. Snapseed has tools and controls integrated geniously in touch gestures. For the first time users, editing photos using Snapseed takes little time getting used to its unique control gestures. Pixlr Express, on the other hand, is simple to use and comes with easy to use editing tools and options. Which one is better – It doesn’t matter. I’ve installed both the apps on my phone, and I know which app to use for what kind of photo editing. So, go ahead and install both of them or the one which you prefer based on convenience and features you most likely are going to use often. Download Pixlr Express – free powerful photo editing tool for android from here. – High end handsets sometimes come with preloaded Office suite/apps for creating and editing and viewing word, excel, powerpoint, pdf documents. But if you no such app on your phone, you might want to give Kingsoft Office 5.3.1 a try. This powerful app is free, the UI is intuitive and rich. It supports 23 kinds of files, including DOC/DOCX/TXT/XLS/XLSX/PPT/PPTX/PDF, etc. 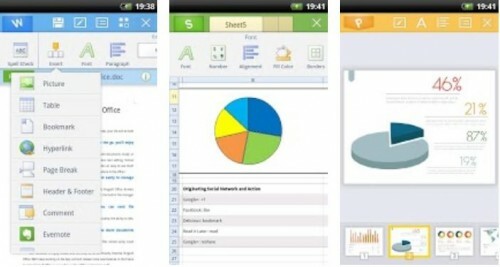 It comes with great features and is the best free office app for android available. It also supports direct upload to cloud storage services like Google Drive, Dropbox, etc so that you can resume your document editing later on pc if you want so. Download Kingsoft Office android app free from here. – Although the name contains Pro term, this app is free. This is best app for handling your sms/mms. Your phone already has default sms app, but believe me, you need to try Go SMS Pro. In the beginning, I used to think why do I need a third-party sms app, but after using this app, I never went back. 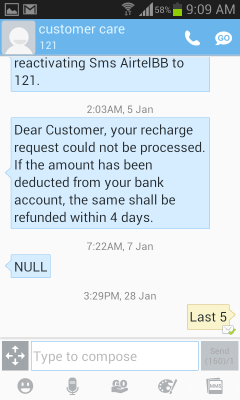 In fact, I made this app my default app for sms on my phone. Whenever you receive new messages, it displays the message in the form of pop-up on screen with quick reply option as well. So you don’t need to go to this app to reply to someone, you can just instantly type the message in received popup and its done. You can even schedule sms to be sent on a later date. It also supports batch processing, sms backup and restore, security lock, blacklist, privacy features. 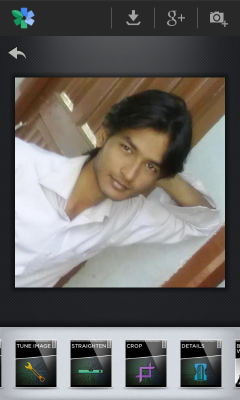 Download Go SMS Pro android app free from here. The Best SMS Manager app for android phones. – Both these cloud storage services are good and popular. If you’ve already used these services, you know its usefulness. With these, you can have your important files available across any device be it computer, phone, etc. 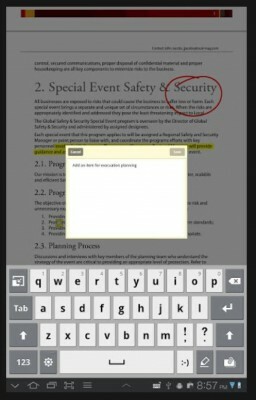 You can edit your documents anywhere and keep your files synchronized. When you sign up for Google Drive, you get 5GB of complimentary free storage. Google Drive also features Google Docs so you can easily create and edit word documents. Both these services are good. You can also enable auto-upload feature so whenever you take photos, it’s directly uplaoded to your cloud storage i.e. Google Drive or Dropbox. 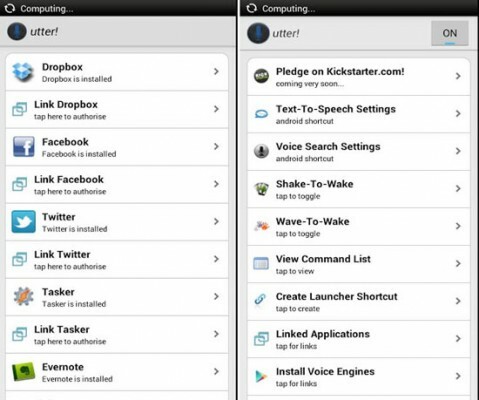 These apps also have application for your computer so that things remain synchronized between your phone and computer. – A word a day. You can use this dictionary app to find words-meanings, lookup definitions easily online, and learn one new word daily. This app has a widget also. Just place the widget on homescreen of your android phone. The widget has a search box to quickly lookup words online and the widget also display word of the day with its meanings. So, even if you’re native English speaker, your English vocabulary can always be improved. Or you could install Google Translate app to use it as dictionary from English to your local language or vice versa. 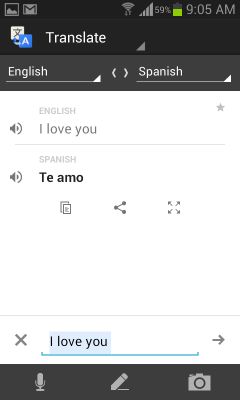 Download Google Translate for android from Google Play Store here. This also woks online only. – As a bonus complimentary addition to the current list of must-have, we’re tempted to mention this app. This is the best app for managing your phone remotely from your pc browser. With this app, you can access files, images, videos, songs stored on your phone from your desktop browser. It also allows you to send and receive sms from pc, Mange phonebook contacts, store files from your computer to your android phone. All this works on WiFi or cellular network. A new version i.e AirDroid 2 is launched, but its in beta stage currently. The newest version comes with several additional features and cloud access of your phone. Download AirDroid V2 Beta for android from AirDroid official website here. AirDroid V2 is not available on Google Play Store currently because of its beta stage. To install this, download it from the link given and open the file. If it fails to install, go to phone settings and then to Security and check Unknown Sources under Device Administrators to allow installation of apps downloaded from third-party websites, instead of just Google Play Store. – Your app tour guide to new android phone can’t be complete without few games, can it be? 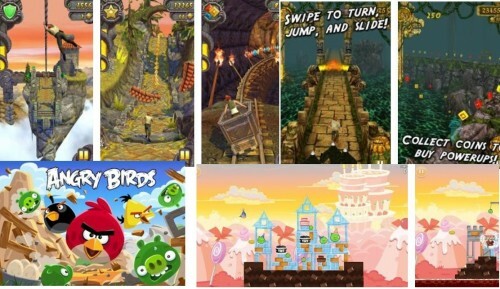 Angry Birds, the name you might have heard even if you have never played this game, is one of the top downloaded games. Likewise, Temple Run is another addictive and interesting android game. Recently, a new version, Temple Run 2 has also been released. All the given apps above are kind of Must-have essential apps to be installed on android phones. There are several other useful apps, but these come to our mind when we think of must-have. In the above list, we didn’t mention Gmail, YouTube, Gtalk, Google Plus, etc because these apps are generally installed on android phones by default. 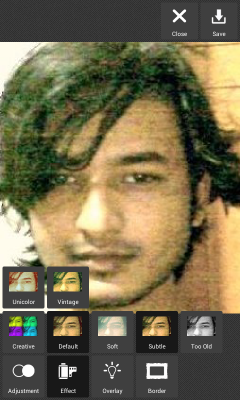 You can add skype, whatsapp, fring, nimbuzz, yahoo messenger or others for your chatting, video-chat or messenger needs. Have you installed all of the above android apps? Keep reading our blog to discover more unique and useful android apps. Glad. It helped.. These apps cover most of the basic category.